Location: ~110kms from Mumbai (map). Timings: Since the temple is located on hill, visiting during day is preferable. Kṣhetra Purāṇam: This temple was constructed by the Pāṇḍavās during their Araṇyavāsam. Once when Pāṇḍavās visited this holy place, Ekvīrā Mātā appeared before them. She instructed them to build a temple for her. To test the kārya dīkṣha of the Pāṇḍavās, the Goddess laid a condition that the construction must be done overnight. The great Pāṇḍavās then indeed built this beautiful temple in one night. Impressed by the bhakti of Pāṇḍavās the Goddess blessed them and granted the boon that they will not be discovered by anybody during their ajñātavāsam. The Goddess is an avatār of Goddess Reṇukā Devi. About the Temple: The temple is located on a hill. One needs to ascend around 500 steps to reach the temple. 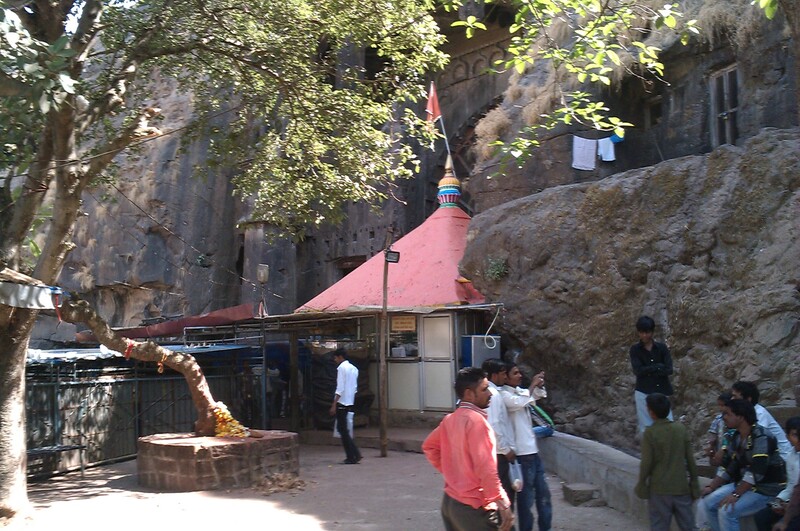 The temple is surrounded by ancient caves known by the name Kārla caves, which are now protected by the Archeological dept. While the main deity is Ekvīrā Mātā, to her left is Jogeśvarī Devi. One gets a excellent view of the surrounding from the hill top. 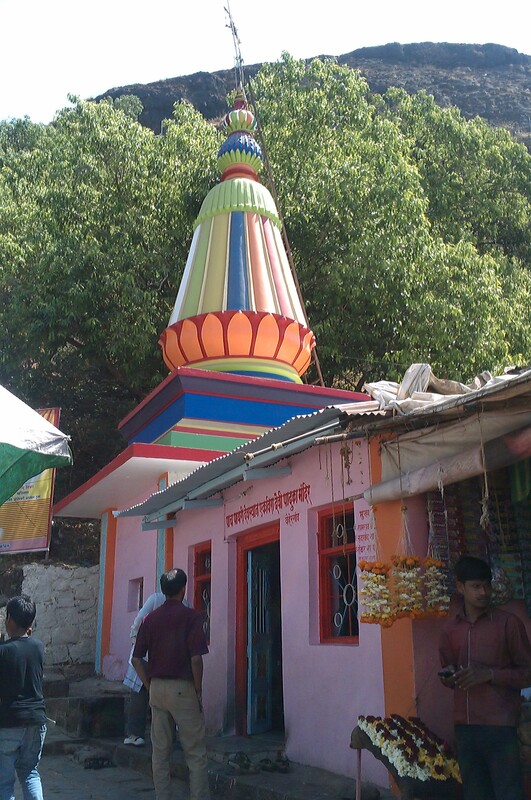 Half way down the hill, there is a temple for the holy feet of the Goddess (shown in the picture on left).